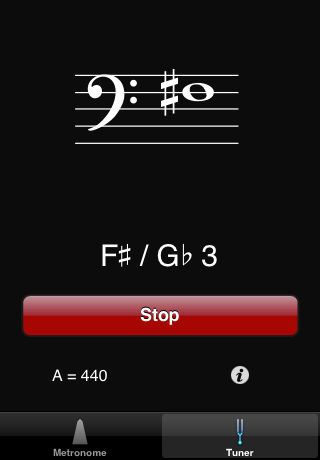 Orfeo's tuner plays four octaves of pitches from C2 to C6 and gives you a choice of sounds. To change the sounding pitch, simply drag the note up or down the staff. 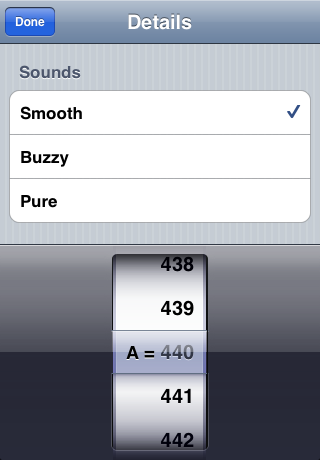 The pitch standard for A4 is adjustable and includes pitch standards for early music performance (A=392, A=410, A=415, A=427, A=430, A=460 and A=466) as well as a range around A440 (A=435 to A=448). 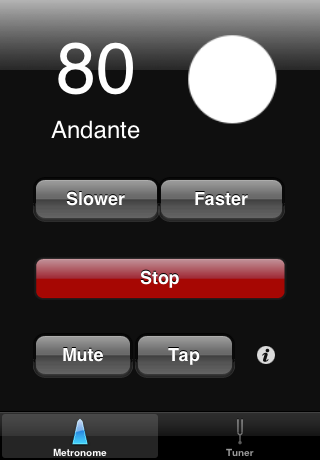 Orefeo's metronome gives the standard range of metronome marks plus an extended slow range down to 10 bpm. 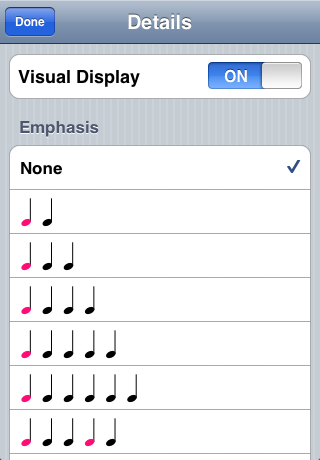 It includes a visual display, the ability to set the rate by tapping, and a choice of emphasis. Orfeo is US $0.99 at the iTunes App Store .